Long Beach officials are pursuing a new strategy to resolve the growing rift between taxi drivers and ride-hailing services such as Uber and Lyft, becoming the nation’s first large city to relax restrictions on cabs, rather than increase regulation of their new competitors. Removing requirements that taxi drivers say have put them at a competitive disadvantage, the City Council voted Tuesday to allow its exclusive cab franchise to rebrand itself, update the appearance of its fleet and offer variable, discounted fares, free rides and other price promotions to lure customers. Faced with a crisis unprecedented in California’s history or his own tenure in office, Gov. Jerry Brown unveiled mandatory water restrictions at Phillips Station, a Sierra Nevada locale hit hard by this year’s meager snowfall. Cities and towns, he said, must now cut their water consumption by 25 percent from statewide urban usage in 2013; local agencies that failed to measure up faced fines of up to $10,000 a day, according to the Los Angeles Times. After repeatedly signaling his reluctance to impose Draconian conservation measures, Brown’s announcement signaled not just the severity of California’s drought, but the intensity of the political test headed his way. After his last term in office, spent carefully navigating between his Republican opposition and frustrated Democrats to his left, Brown’s delicate balance threatened to come apart over the water crisis. Despite focusing almost exclusively during his re-election campaign on passing the state’s new water bond propositions — and marshaling bipartisan support for his most recent water aid package — Brown has found himself weathering criticism from conservatives and liberals alike. Brown’s rhetoric matched the warnings. “People should realize we are in a new era,” he said at Phillips Station. “The idea of your nice little green lawn getting watered every day, those days are past,” the New York Times reported. A significant impact was expected not only on Californians’ yards but on their cleaning, drinking and showering habits as well. One group of residents, however, escaped the cutbacks for now: large farmowners. Because they do not get their water through the local water agencies affected by Gov. Brown’s executive order, his 25 percent restriction did not apply to their significant consumption and use. Brown did, however, require the farmers “to offer detailed reports to state regulators about water use, ideally as a way to highlight incidents of water diversion or waste,” according to the New York Times. 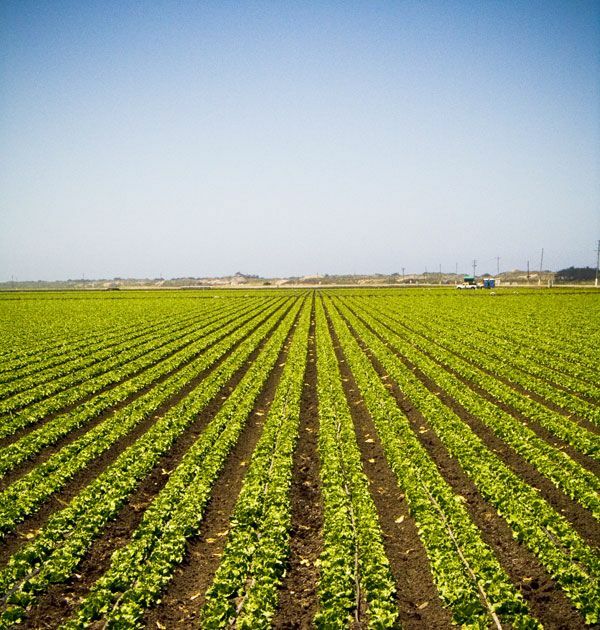 But all California farms were not created economically equal. Some analysts have already begun to predict that future cutbacks will fall more heavily on farmers with relatively less profitable, and more easily imported, crops. Whatever the future might hold for water consumers, Brown’s own political situation has quickly soured. In a bitter irony, as the Washington Post pointed out, some of the Golden State’s current struggles traced back to the grandly liberal water policy adopted by Brown’s own father, former Gov. Pat Brown. Political chickens have come home to roost on either side of Brown’s often self-consciously judicious brand of policymaking. To his left, frustrated liberals complained that agriculture must cut back far more. To his right, conservative critics like Assemblyman Tom Donnelly, R-Twin Peaks, blasted Brown for an infrastructure agenda that put high-speed rail above dams, desalinization and environmental regulatory reform. And to add insult to injury, Brown’s efforts to liberalize California criminal law have indirectly contributed to the state’s growing marijuana consumption — which, in turn, has led to massive water consumption. Does anyone remember President Obama’s executive order requiring that regulations be justified and not unduly burdensome? It would be hard to find a better example of the vast gap between requirement and reality than in Michigan v. EPA, before the Supreme Court Wednesday, March 25. At issue is the EPA’s new nationwide rule slashing mercury and other emissions that would put coal- and oil-fired power plants in the cross-hairs of what industry representatives describe as the EPA’s “most costly rule” ever under The Clean Air Act. Unfortunately, the very political “science” behind the EPA’s claim of far greater benefits than the 10-digit annual compliance costs comes nowhere close to justifying the policy. Power plants emit only a tiny fraction of the mercury released into America’s air. The EPA reported that in 1995, total U.S. emissions from all human activity (158 tons) was about 3 percent of all mercury released to the air from all sources (5,500 tons). And power plants are only part of that total. Eliminating so little mercury will not save many thousand lives, as the EPA asserts. But it will dramatically raise the cost of coal-powered electricity. Perhaps most troubling has been the EPA’s use of selective science to transform small effects into massive benefit claims. For example, it ignored the fact that CDC surveys show blood mercury levels for American women and children falling and already below the levels found safe by both the EPA and FDA, and well below the standard set by the World Health Organization. The proposed EPA mercury restrictions on power plants, despite a massive PR campaign to the contrary, would have very small effects on human exposure to mercury, at a very high price. And there is no need for a nationwide command and control “solution.” The EPA has found that only “between 1 and 3 percent of women of childbearing age (the group of most concern) eat sufficient amounts of fish to be at risk from methylmercury exposure.” And the FDA and most states already issue advisories for citizens to limit their intake of contaminated fish. Mandating massively expensive policies on everyone is not justified because a small fraction of women of childbearing age are potentially at risk from mercury ingestion, out of fear some of them may not sufficiently heed existing warnings. That is particularly so when there is so little evidence that substantially higher exposures than in America impose measurable damage. Rather than being “justified and not unduly burdensome,” the EPA mercury rule is unjustified and punitively burdensome.